Keeping Your Thomas, International, Or Bluebird Fleet On The Road! At Custom Bus and Truck Panels, we are constantly adding new parts to keep your fleet on the road. We know that you want to protect your investment as you take care of your riders, or, if one of your buses has been damaged in an accident, you want to replace with parts that are BETTER THAN OEM. Give us a call at our toll-free number—888-402-1661, so our team can help! We know Doug and Ron at Custom Bus and Truck Panels, and we know how very committed they are to making high quality replacement body parts for your Thomas or Bluebird bus. So, as Doug and Ron would say, “If you see rust, think of us!” Or, if one of your Thomas buses has been injured in an accident, CALL Custom Bus and Truck Panels today! Whether you need stainless steel door hinges, bronze bushings, door pins, or channel posts. If you are looking for repair parts for a Bluebird bus, Custom Bus and Truck Panels is the premier provider of side body parts, rear body parts, floor-related parts, battery boxes, step wells and various parts, door-related parts, and other miscellaneous items Custom Bus and Truck Panels is prepared to help. Custom Bus and Truck Panels offers a toll-free number—888-402-1661—with helpful associates to assist you. And you can find all of their parts pictured online at http://busandtruckpanels.com/catalog.php. If you don’t see exactly what you need, don’t worry—that’s why Custom Bus and Truck Panels is “custom”! They can custom bend any part you need. Whether you need stainless steel door hinges, bronze bushings, door pins, or channel posts. If you are looking for repair parts for a Bluebird bus, Custom Bus and Truck Panels is the premier provider of side body parts, rear body parts, floor-related parts, battery boxes, step wells and related parts, door-related parts, and other miscellaneous items Custom Bus and Truck Panels is prepared to help. Find their online catalog—with photos of every part—at busandtruckpanels.com. And now offering electrical components as well! If you need ANY part, call us. If you operate a Thomas bus—or a fleet of Thomas buses—you want to protect your investment as you take care of your riders. 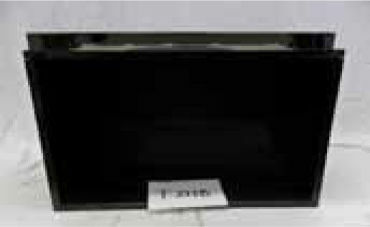 Custom Bus and Truck Panels of Minerva, Ohio is your source for replacement Thomas bus parts. Thomas buses are buses built with a reputation for quality. With precious cargo on board, they’re built to deliver “peace of mind, mile after mile”. If you are looking for replacement body parts for a Thomas bus, you have come to the right place. At Custom Bus and Truck Panels, they know Thomas bus parts. If you are looking for side body parts, rear body parts, door parts, or any custom metal part for a Thomas bus, you need look no further. For more than twenty years, the experts at Custom Bus and Truck Panels have been designing and manufacturing replacement parts for school buses. All their parts are 100% made in the U.S.A., right in their manufacturing facility in Minerva, Ohio. Their focus is solely on school bus body parts, and because of this concentrated focus, they are able to help body shops and mechanics prepare for inspections all year round. If you are a mechanic or body shop looking for replacement parts for a Thomas bus, we have just made your job much easier by linking you up with the masters of all things Thomas-related. In addition to side body parts, rear body parts, and door parts, Custom Bus and Truck Panels also designs and manufactures floor- related parts and interior panels and related parts, not to mention battery boxes and step wells and related parts. KEEPING YOUR BUSES ON THE ROAD: International, Bluebird and Thomas bus parts, BETTER than OEM! Whether your Bluebird bus needs skirt panels, wheel well rings, emergency door parts, drip rails, mud flap brackets, battery boxes, step wells, door hinges, or dozens of other parts, Custom Bus and Truck Panels offers both manufactured and custom bent parts to fit perfectly. Many parts are available in stainless steel. “When you see rust, think of us” is the motto of Custom Bus and Truck Panels. If you own and operate a Bluebird bus, protect your investment with engineered and custom bent repair parts from the pros. Call 888-402-1661 or visit their web site at http://busandtruckpanels.com/catalog.php. By nature, bus doors get a lot of use—and if the doors on your Bluebird bus are showing signs of wear (or broken!) Custom Bus and Truck Panels can have you back in service quickly. Custom Bus and Truck Panels also has a full line of door repair kits for Bluebird buses, whether conventional or transit models. Kits are designed to correct issues with jackknife and bi-fold door styles, and come either with or without new frame channels. 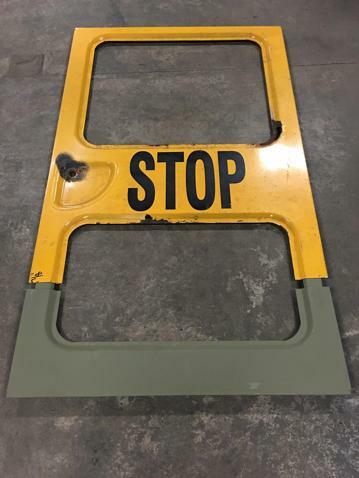 If you have questions or need additional information on Bluebird bus door parts, call Custom Bus and Truck Panels at 888-402-1661 or check out their web site at http://busandtruckpanels.com/index.php. Doug or Ron can easily get you bus back on the road! Remember that Custom Bus and Truck Panels also carries parts for many other aspects of your Bluebird bus—side, rear, and floor parts, battery boxes, step wells, and more. And if they don’t have a particular piece in the catalog, they can custom bend a part to exactly meet your needs. Custom Bus and Truck Panels—call 888-402-1661 or find them online at http://busandtruckpanels.com/index.php. You Need to Keep Your Fleet of Buses on the Road. Protect your investment! If you operate a Bluebird bus—or a fleet of Bluebird buses—you want to protect your investment as you take care of your riders. Custom Bus and Truck Panels (888-402-1661) can help. When you need repair parts for a Bluebird bus, Custom Bus and Truck Panels is the premier provider of side body parts, rear body parts, floor-related parts, battery boxes, step wells and related parts, door-related parts, and other miscellaneous items. Whether you need stainless steel door hinges, bronze bushings, door pins, or channel posts, Custom Bus and Truck Panels is prepared to help. Find their online catalog—with photos of every part—at http://busandtruckpanels.com/index.php. If you have questions or need additional information on Bluebird bus door parts, call Custom Bus and Truck Panels at 888-402-1661 or check out their web site at http://busandtruckpanels.com/index.php. emotional feelings that can affect the state of an animal’s health or behaviors. When business starts to slow down, it is almost always the fault of declining brand awareness. It is important to have a realistic evaluation of what and where your business is, understanding the opportunity for your products and services, and knowing what kind of content you should have. Once you establish where the awareness needs to increase within your brand, it’s time to act. The reputation of your brand and it’s connection with the community is important to keep in mind when determining what kind of brand awareness you want to promote. With so many choices on the market, consumers are always looking for a reason why they should invest their time and money into your product or services. If you can integrate your “why” directly into your marketing channels, it will help increase the awareness of your brand. At Digital Marketing Group, we create a strategy for your brand to help eliminate some of the hardships of marketing. Our goal is to increase the awareness of your brand while delivering your content directly to potential consumers.